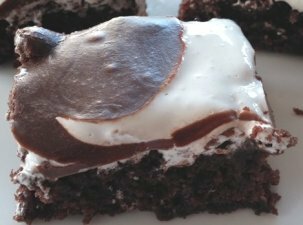 Marshmallow Swirl Brownies: you would be hard-pressed to find an easier recipe that has this kind of “wow” factor – and tastes homemade. This luscious brownie variation is both fudgy and gooey, making it a favorite for sweet tooths. Preheat oven to 350º F (325º F for a glass dish). Lightly grease a 13 x 9 baking pan. Pay special attention to the corners and sides of the pan, making sure they are well-greased. Pour brownie mix, vegetable oil, water, and eggs into a medium bowl. Stir ingredients together with a large spoon until blended, about 50-60 strokes, until dry mix particles are absorbed. Pour brownie batter into prepared pan. Spread evenly. Bake 26-30 minutes until set and a toothpick inserted in the center comes out clean. Do not over bake. Allow brownies to cool completely. Spread marshmallow crème over brownie surface. Set 1/3 cup chocolate frosting in a microwave-safe bowl. Microwave on high for 10-20 seconds. Stir frosting until it is smooth and pourable. Drizzle frosting over marshmallow crème in a thin, striped pattern. 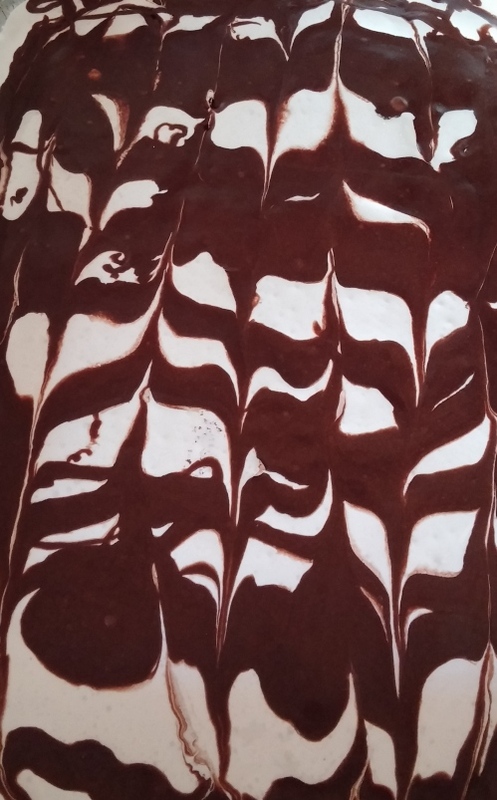 Use a knife to swirl the marshmallow crème and frosting and create a marbled effect, inserting the knife in one corner of the pan and moving it back and forth in the surface, perpendicular to the chocolate frosting stripes. Refrigerate the brownies for 15-30 minutes. Coat a kitchen knife with vegetable spray. Run knife around the inside edge of the pan to release brownies. Re-coat the knife. Cut brownies carefully and cleanly. Marshmallow Swirl Brownies are easier to cut cleanly with a cold, greased knife. Place the greased knife in the refrigerator before you begin mixing the batter together. By the time the brownies are baked, cooled, and frosted, the knife will be cold.